A much welcomed English translation of this important biographical study of a great Pope. 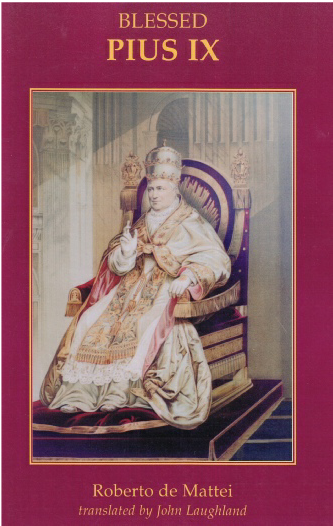 Giovanni Maria Mastai Ferretti became Pope in 1846, and this book specifically deals with the 32 years of his Pontificate—the longest in history after St. Peter. Not only long, but filled with major events, upheaval and political ferment, his Pontificate encapsulates the clash between the Catholic Church and the modern world born of the French Revolution. The solemn beatification of Pius IX in September 2000 celebrated his heroic virtues and makes this well-researched analysis of the historical significance of his Pontificate all the more important.